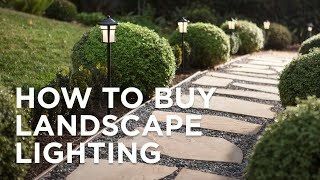 Illuminate outdoor spaces with the efficiency and style of this LED landscape light. 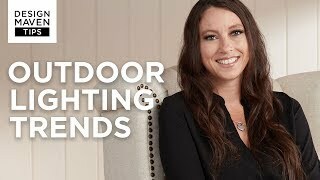 Brighten outdoor walkways and create a safer and more pleasant atmosphere in a front or back yard. This LED landscape light features a carriage light profile and is super energy efficient, using only 4 watts of energy, yet having a light output that's comparable to a 35 watt regular bulb. 23" high x 5" wide. Stake is 6" high. 4 watt built-in LED: 340 lumens, comparable to a 35 watt incandescent bulb. 3000K color temperature. 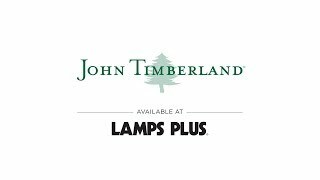 From the John Timberland brand of LED landscape lights. Textured black finish. Stake and body are in an aluminum construction. Mistlite glass. For use with 12 volt low voltage lighting systems. They looked well built, sturdy, are metal instead of plastic & got them on sale-yay! . Hopefully they last for long time, but only time will tell. To match my front yard. I did the front and loved them so much I decided to order for my backyard too. Traditional look and bright pathway lighting. Do you have lights rated for 120volts ac? BEST ANSWER: The closest 120v landscape light we have to this is #M2644. BEST ANSWER: Hi - this design has an aluminum body and stake, both in a textured black finish. How do these hold up to moisture? Any signs of rust?? BEST ANSWER: The lights hold up in normal conditions. If used in areas were there are large bodies of salt water or high humidity levels the finish on the light does tend to deteriorate. How tall is the actual light minus the stake? BEST ANSWER: 23-inches high without the stake. I picked up two of these lights, I just watched the second one quit on me,it started to flicker on and off, till it just checked out,just like the first one. Kudos!! to Lamps Plus they did replace the first one at no charge without hassles. I hope the same for my second one. These lights are not old, maybe just shy of 2 yrs,I was hoping the first failure was just bad luck. But now I know differently..If it happenes a 3rd time, I will just rig one of the low voltage LED bulbs that I picked up for some Malibu pagoda style pathway lighting. They seem to be pretty hardy. Wish me luck on the 2nd replacement!! We used this product to light our 75 foot pathway to our front door. It looks very welcoming. The path is lighted but not glaring. We just installed this past weekend so I don't know yet how it stands up to the elements yet. Well built. Lots of light. I bought two of these for a customer but his wife didn't like them. But instead of returning them I kept them for myself and ordered three more. I set them up alongside a dark walkway to my front door. They seem solid and well constructed with a genuine frosted glass diffuser. Not cheap plastic.These lights do not come supplied with any kind of connectors other than some waterproof wire nuts, but I cannibalized some from an old unused set of low voltage light fixtures I bought years ago. Once spliced together, it made attaching to the main cable quick and easy. I'm very happy with the light these fixtures produce. It's a nice bright soft white light similar to older halogen fixtures. The frosted glass diffuses the light to an easy on the eyes glow. Spaced at 7 feet apart, these do an excellent job of illuminating the walkway and look very upscale and inviting. Purchased (2) in 2014. Neither work now (2019). Hi L. K., very sorry to hear that your landscape light went out after five years. Our customer service team would be happy to look into alternate solutions for you. Please reach out to them via phone, email, or chat. Thank you. Hi Ed T., sorry to hear that your lights went out after a year. Our customer service team would be happy to assist you with other solutions, so please reach out via phone, email, or chat. Thank you. Thanks to its sturdy in-ground design and durable finishyou can sink this low voltage LED well light in both sand and stone. Alert drivers to potential hazards with this tall LED bollard light in your driveway or commercial parking lot. This louvered landscape brick light is designed to be integrated into brick walls during construction and features energy efficientlong-lasting LEDs. Bathe a wall or other exterior feature in warm white light with this energy-efficient LED wall wash accent light.